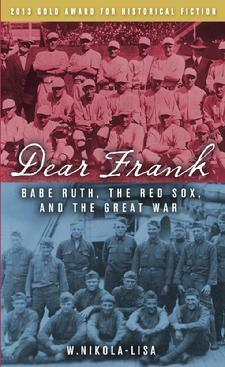 Dear Frank: Babe Ruth, the Red Sox, and the Great War is a piece of historical fiction for the middle grade reader. The story follows a series of letters written by one brother to another during the latter part of 1918. It's the last year of World War I and the Boston Red Sox, with Babe Ruth on the mound, are going to the World Series. 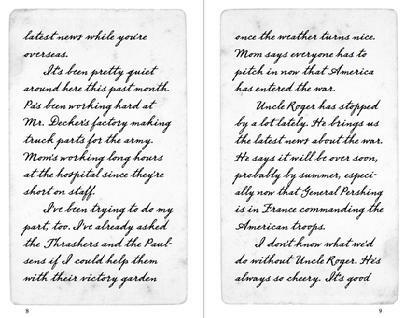 Andrew, at home in the Boston area, writes to his older brother, Frank, a soldier on Europe's western front, to catch him up on all the news. An informative and moving account of little explored terrain. Since Dear Frank is written in an epistolary format we decided to give the book the look of handwritten letters. First of all, we researched a variety of handwriting styles representative of the early 20th century and then found a font that closely mimicked the handwriting style that appealed to us the most (pictured above). Andrew's letters actually have the feel of handwritten artifacts—which, of course, is what we wanted. just click here to listen to a sample chapter.